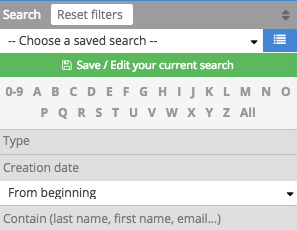 You can easily sort or filter your data with your custom fields. When you create a field, it appears in your filters list. In our example, the contract number is added to the bottom of the filters. To search for a customer by contract number, enter it in the field and the customer will be automatically isolated.